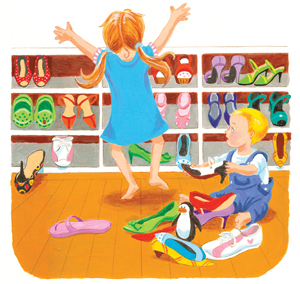 After Mommy leaves for work, her children play with the shoes in her closet. Her daughter tries them all on and realizes Mommy’s shoes are tricky to walk in! 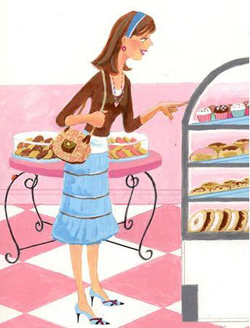 This fun and heartwarming story explores the subject of why parents work and celebrates a working mother and her sweeter than cupcakes relationship with her children. Everyone will have fun finding a ladybug, heart & cupcake on each page! 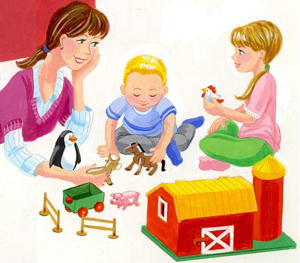 Do you love finding Hidden Pictures? Try on Mommy’s High Heel Shoes! Buy the book now through our charitable online store! Your book will be personally signed by the author as well. MOMMY WORKShop is dedicated to supporting charities that help support and develop other working mothers and their children. We are currently helping to raise money for other working moms through kiva.org.